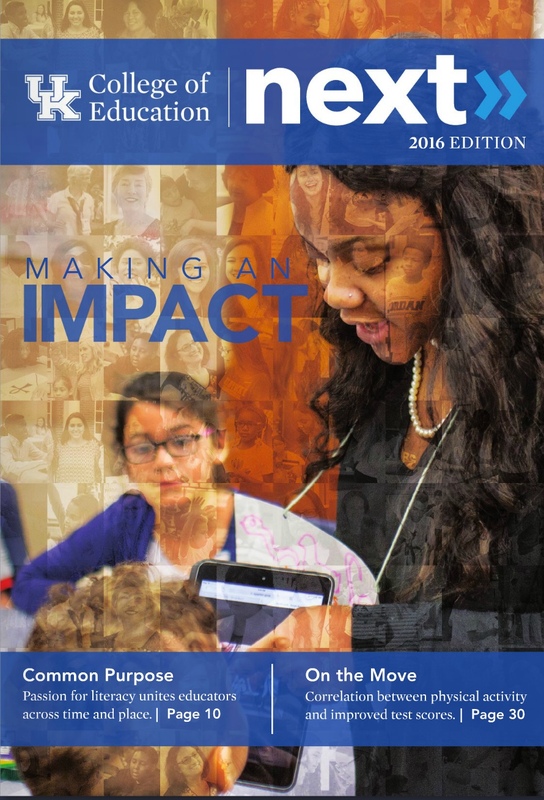 Home » Newsletter » Archive » Interested in Teaching Math or Science? 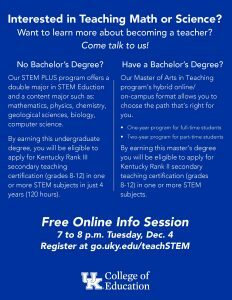 The UK College of Education’s STEM Education Department recently hosted a free online info session for anyone interested in learning more about becoming a teacher in the math/science fields. If you missed the session, but would still like to learn more, contact the STEM Education Department at (859) 257-4235 or UK College of Education student recruiter Jenna Demastes at (859) 218-2698 or jenna.demastes@nulluky.edu. Our STEM PLUS program offers a double major in STEM Eduction and a content major such as: mathematics, physics, chemistry, geological sciences, biology, computer science. By earning this undergraduate degree, you will be eligible to apply for Kentucky Rank III secondary teaching certification (grades 8-12) in one or more STEM subjects in just 4 years (120 hours). on-campus format allows you to choose the path that’s right for you. 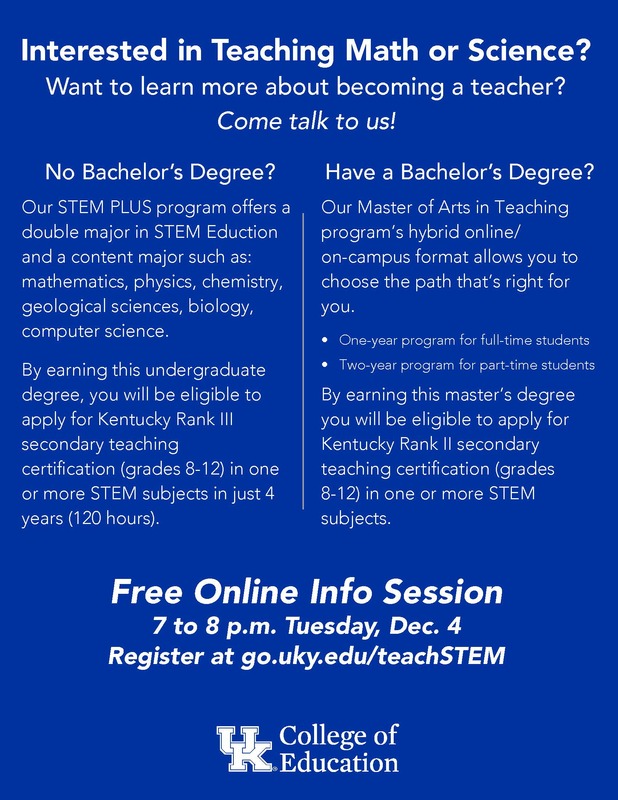 By earning this master’s degree you will be eligible to apply for Kentucky Rank II secondary teaching certification (grades 8-12) in one or more STEM subjects.